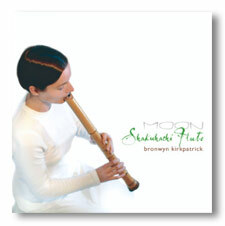 Recorded in 2003 for the Brahma Kumaris Spiritual University. Moon was improvised in a state of meditation and is a very supportive background presence for meditation, yoga, massage and for putting young children and their parents to sleep! 60 min approx. I am a Nay player (Ancient Egyptian bamboo\reed flute) living in Sydney. I’ve been playing my instrument for over 15 years (mostly overseas until I moved to Australia). I have been thinking, chasing and dreaming about having a full time career playing my musical instrument in the exact same way you do with your beautiful instrument. I came to your website recently… and also found about your concerts in Jenolan caves and other places… and you inspired me a lot! I’ve been listening to your music, looking at your photos, website and events… You are REALLY AWESOME! For me… I just don’t know where to start from. I already took a few steps in playing in a couple of healing and wellness centres around Sydney as well as a couple of expos (e.g. Body.Mind.Spirit Sydney). Would you be able by any chance to help me out or advise me? How can I introduce my ancient cultural instrument to the people of Australia in a better way? How can I find opportunities to play my instrument out there? I started by busking in the streets of Sydney… which had a lovely response. But to where from here? I hope you can find the time to reply to my email. I would highly appreciate your advice.